PRESS kicks off the 2012 season of Downstreet Art with Ink in the Blood: Printed Works on Paper featuring the work of artists Julio Granda and Barry Sternlieb, two creative forces in the Berkshires that have joined together for three decades of collaboration. This exhibit shows the marriage of their specialties. 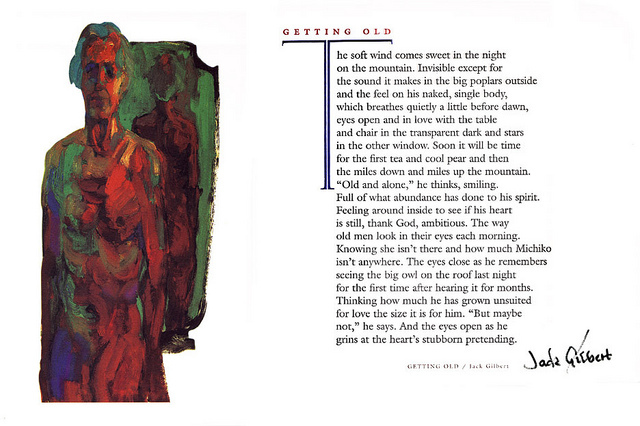 Barry prints and Julio designs and together they create remarkable broadsides. Barry, the original owner of the Vandercook Universal III that is the cornerstone of PRESS, defines broadsides as “a hybrid form that creates an interdependent or symbiotic relationship between word and image. The impact of this marriage should be greater than just reading one poem or viewing artwork, and should represent a new experience in which each element carries its own weight while contributing to a perfect balance of power as a whole.” The collaborative work displayed at this exhibit embodies just that, combining image and text of two artists to create cohesive and interdependent pieces. Type High is an exhibition that resulted from work created by students enrolled in “Art on the Press”, taught by Katie Baldwin at the Book Arts Center at Wells College in Aurora, NY. This class provided an intensive focus on tools, materials, concepts and techniques relevant to relief printing. Technical skills were gained in setting type, carving images, registration of multiple colors, and printing on the Vandercook presses. 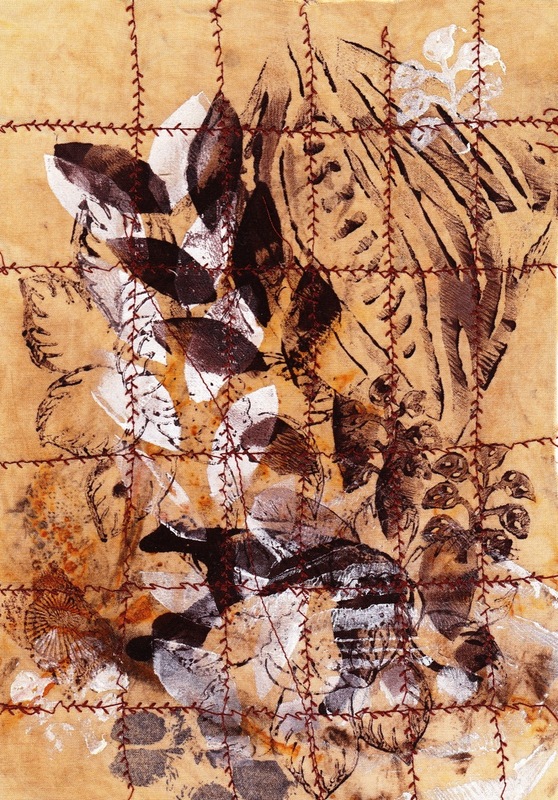 Content was developed through the exploration of personal work in printmaking. 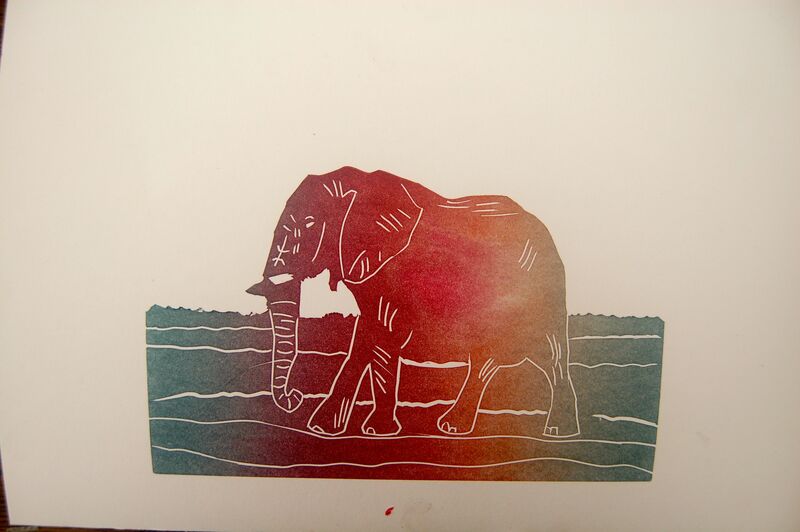 Through workshops, discussions, critical analysis and making prints students developed sophisticated ways in which printmaking became a vehicle for the expression of ideas, content and personal voice. Katie Baldwin is a printmaker who has traveled to several countries as an artist in residence, including Japan, Mexico, and Cuba. 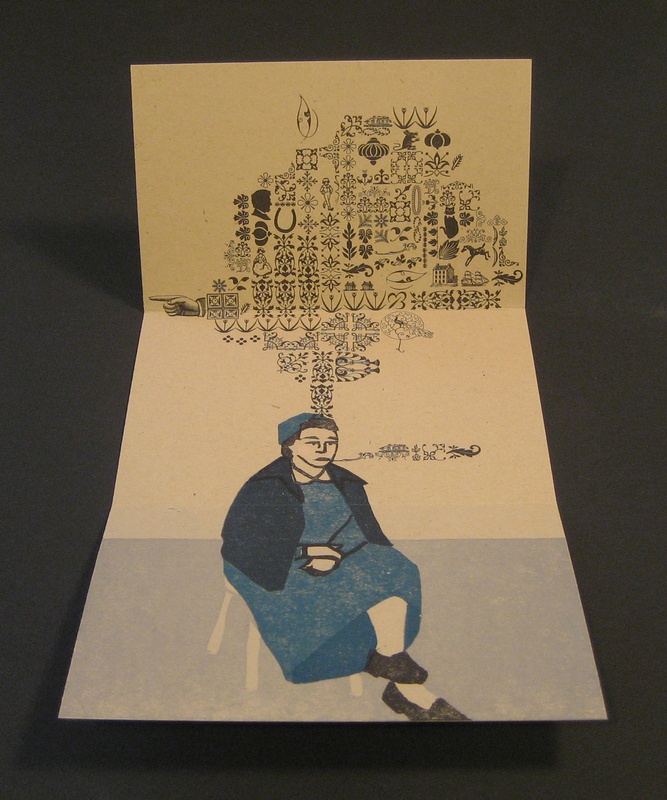 Currently she is a Victor Hammer Fellow at the Wells Book Arts Center in Aurora, New York. Her artist statement says, “I work in series; my work creates a non-linear visual narrative. Images utilize a compositional structure such as inverted point of view, as well as defiance of scale, proportions and time. In this way, the work defies the unity of time by showing several moments at once. I reveal the interior and exterior of both man-made and natural environments, manufacturing stages on which the narratives play out. In August of 2011, six artists came together to participate in a mail exchange project. For the project, instigator Tara O’Brien invited five friends to participate. These women are print makers, book artists, and despite very busy lives continue to make artwork. The prospect of an international mail exchanged was exciting. Therefore the group needed to stay small and even and the projects needed to be managable with everyone’s busy schedules. The parameters of the project were meant as guidelines and liberties were expected to be taken. Artworks were due every two months finishing first in September, then November, January, March, May and July. Each round began with a theme chosen by one of the artists. The themes respectively were: Money, Inside/Outside, Travel, Habitat, Weather, and Animal-Mineral-Vegetable. The artists from Australia are Babette Angell, Anne-Maree Hunter and Heather Matthew; from the United States are Katie Baldwin, Melanie Mowinski, and Tara O’Brien. This show, Postal Pinacotheca, features the work that was exchanged throughout the course of the yearlong project. Getting there is Easy will celebrate the hard work and creations created at PRESS over the duration of the summer. Sandragraphs, pressure prints, linoleum prints, prints with moveable type as well as book art and paste papers will be on display. The show will highlight work from Melanie Mowinski’s Experimental Letterpress class, taught at PRESS through MCLA, as well as other works from workshops and individual projects.